The clash between Uruguay and France will be played at the Nizhny Novgorod Stadium in Nizhny Novgorod on July 6th. Both teams didn’t suffer a defeat at this World Cup; Uruguay won all four games so far, while France’s draw came in the only 0-0 match at the tournament when they faced Denmark. Uruguay displayed excellent defensive performance in the group stage as they were the only team at the World Cup to keep the net intact in all three matches, while Pepe’s goal in the Round of 16 was the first one they conceded. It’s going to be hard to keep the clean sheet against such opponent as France who bagged four in a tilt with Argentina, but in all fairness, the Sky Blues have a much better defense than the Albiceleste. They know that the attacking duo Luis Suarez and Edinson Cavani can score against any team on the planet, so they are hoping that one or two goals in France’s net could be enough to progress to the semis. On the other hand, France allowed one goal from the penalty spot in the group phase, but when they faced the world-class forwards such as Leo Messi and Sergio Aguero, their defense displayed fragility by conceding three. Still, Kylian Mbappe came to the rescue with a brace, becoming the first teenager since famous Pele to score two goals in the single match at the World Cup. Edinson Cavani could miss the game due to a calf injury he suffered in the second half against Portugal, which would be a huge blow for the Uruguayans, so in that case, Luis Suarez has to be the one to take responsibility and try to send his team in the best four teams in the world. Suarez scored a couple of goals thus far and added an assist, so it is no doubt he will be Uruguay’s primary weapon on this one if Cavani is unable to feature. Although the whole planet is talking about Kylian Mbappe at the moment, Antoine Griezmann is the one who could explode here as he fairly disappointed in the first four, scoring both of his goals from the penalty spot. He didn’t have the luck to score from open play yet after he hit the bar on two occasions, but this could finally be Griezmann’s day as he faces his teammates Diego Godin and Jose Gimenez. They know him well, but Antoine is also familiar with their qualities and will try to exploit their weaknesses. Uruguay: Muslera; Caceres, Godin, Gimenez, Laxalt; Sanchez (Nandez), Vecino, Torreira, Bentancur; Suarez, Cavani (Stuani). France: Lloris; Pavard, Varane, Umtiti, Lucas; Pogba, Kante; Fekir (Dembele), Griezmann, Mbappe; Giroud. Uruguay’s chances to win the World Cup are now +1600, while the Sky Blues are +700 to reach the finals. France’s chances to win the World Cup are now +400, while the Blues are +200 to reach the finals. 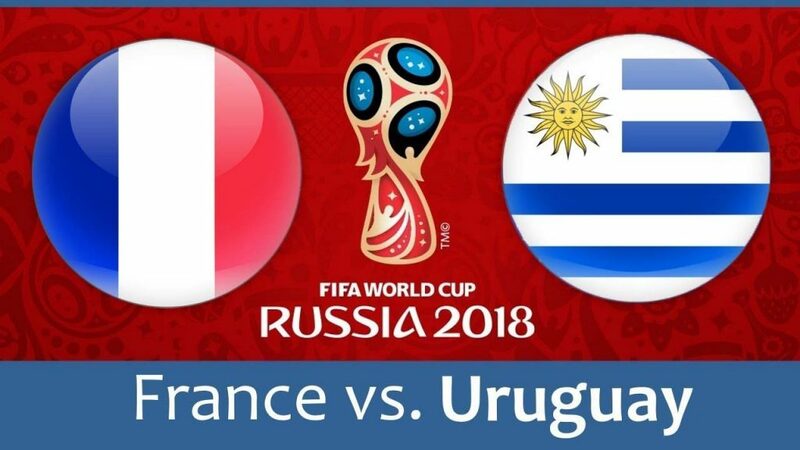 It’s going to be hard to penetrate such a rock-solid defense as Uruguay’s, but I think the French have fantastic players who can unlock any defense in the world. Their defense proved to be unreliable, though, so Suarez will certainly have a chance or two to make them pay, so I am backing goals on both ends here.